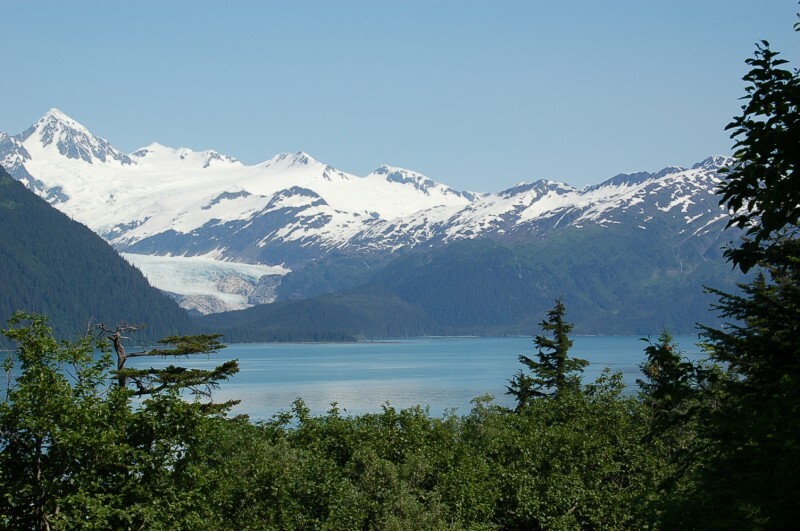 From Anchorage, Alaska's largest city, take the Seward Highway (AK1) south to AK 9. Continue south until you get to the Seward City Limit sign. Take the first right on Hemlock. At the stop sign, turn left on Dimond. The Resort is on the right. The Registration Desk is located in the main building complex. If you pull into the circular drive, it is located up the steps to the deck, through the double doors on your left. Recommended. Can be reserved 1 year in advance. Cancellations less than 7 days in advance will have a fee penalty. WiFi in lobby and on deck surrounding lodge/lobby. Pets can't be left unattended. Usual leash and clean-up rules. Rates based on season and rank. Dump station available. Charter fishing and scenic cruises available from lodge. 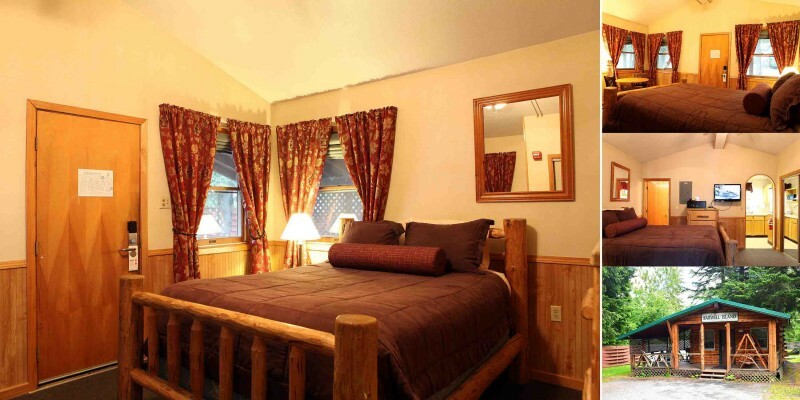 Motel rooms (4 people), townhouse (6 people), townhouse with fireplace (6 people), and Log Cabins (2 people) available. Bar and dining facilities on site. Allowed, but must be kept in personal vehicle. Are you looking for an exciting and affordable way to see the Last Frontier? You've found it! 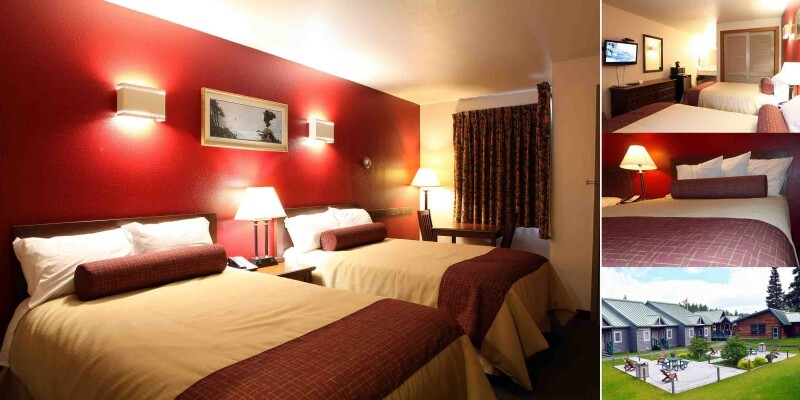 Let the Seward Resort be your base of operations. 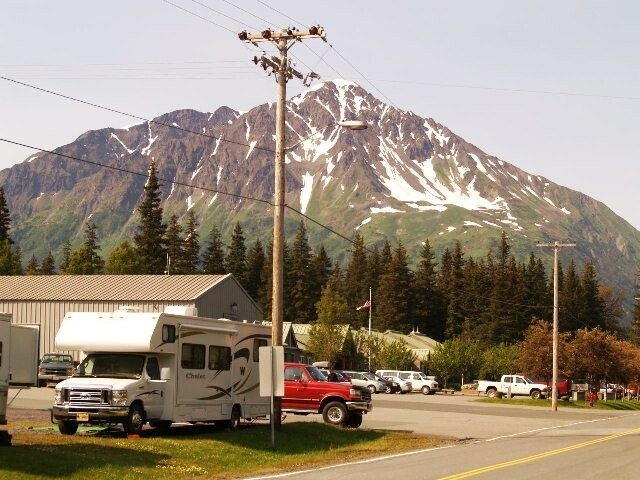 We've got the best of Alaska in our backyard: world-class fishing, spectacular site-seeing, an abundance of wildlife, and recreational opportunities galore! 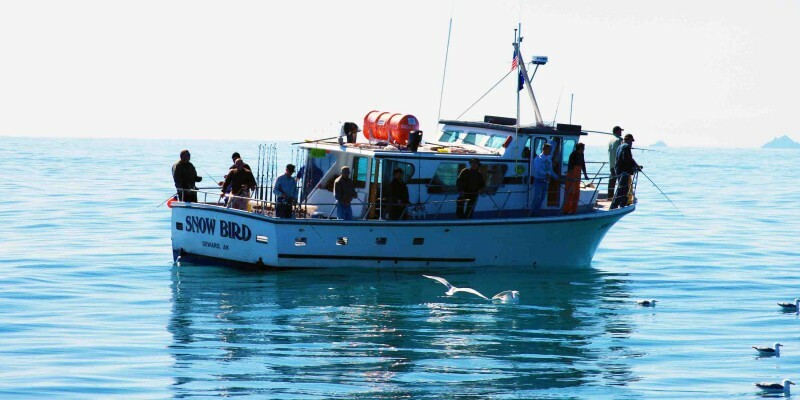 We offer winter adventures, summer deep-sea charter fishing & cruises as well as discounted tickets for the best of what the area has to offer. Take a look around, then give us a call to book your ultimate recreation vacation! This was the best military facility we have ever been to! 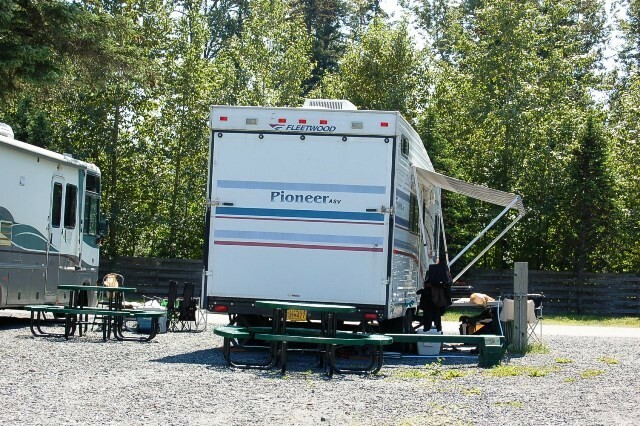 We did not have reservations but were fortunate to get a site during the last weekend of Seward's salmon derby. We were assisted in getting tickets for an unforgettable Kenai Fords cruise and a visit to the Alaska Sealife Center. Their club had a nice bar as well as good food. While I do not fish, their fish processing house was well setup and heavily used by many successful fishermen to process their catch while were there. They have vacuum sealers as well as 30 degree below freezing storage for your catch. The staff was pleasant, informative and efficient! We are looking forward to staying again, but I recommend reservations, we were lucky to get a site. Book early. Rates are based on current paygrade for active/reserve or at retirement. My wife and I stayed in one of the motel rooms for 3 nights in August 2017. Cabins were gone 10 months in advance, so we had to get one of the motel rooms. Room was clean. Advertised in-room WIFI could not be accessed which is not good if your phone service does not work in Seward area. Had to go to the common recreation area near the main facility to to get internet service. Seward is a wonderful area to visit/explore. Plenty of hiking/fishing/site-seeing/unique restaurants and shops. 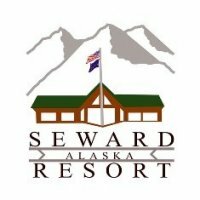 Overall - we would stay there again and highly recommend the Seward Resort as an affordable stay. There was not a RV spot available and we even called ahead. 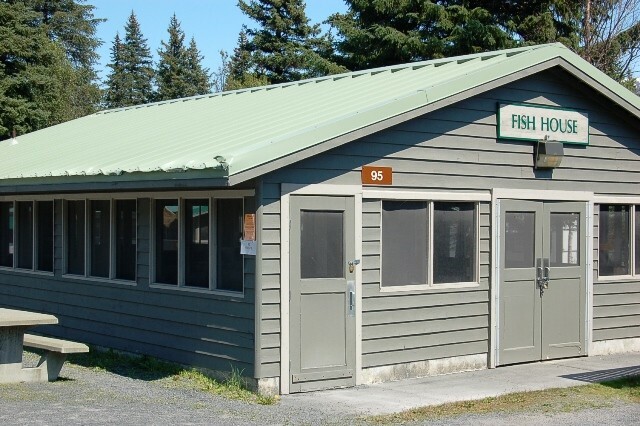 (There rarely is now that the Air Force side is closed) So we asked to use the fish house and freezer facility. $10 per person to clean fish and $10 a night to use the freezer. $40 total. The place was packed and no space available to clean our fish. So I was talking to the employee at the freezer and he told me the freezer would not freeze my fish in 24 hours, it would probably take 24 hours. This is not good for the quality of the fish. To use the facilties to clean and store our fish would cost more than it does to stay there and have the facilities included. I guess they don’t want to service the local military. ( So sad they closed the affordable Air Force side that the lower ranking troups could afford to take their family for the weekend.) Anyways, I called around looking for another place to take care of our catch and found a better solution at J Dock. Now the SHOCKING part. I ask for our money to be refunded because of the crowds and the freezer not working properly. I was told NO REFUNDS. We tried to explain our situation to the young unkempt man working at the front desk and he told us he could clean fish in 20 minutes and how can he believe we did already clean our fish. We suggested he looked at our cooler full of intact fish, but he said no he wouldn’t look and insisted we could be lying! As a retired military couple, we hardly looked like sinister characters. I found this whole experience insulting and humiliating. Actually in the past 25 years, we have found the staff to be less than hospitable here. But this is the first time I was treated with disrespect and pure rudeness. We will not go back. I would recommend the City RV park, right on the bay with amazing views . Stopped by for the day. REAL NICE place! They seem to take very good care of the location and facilities. 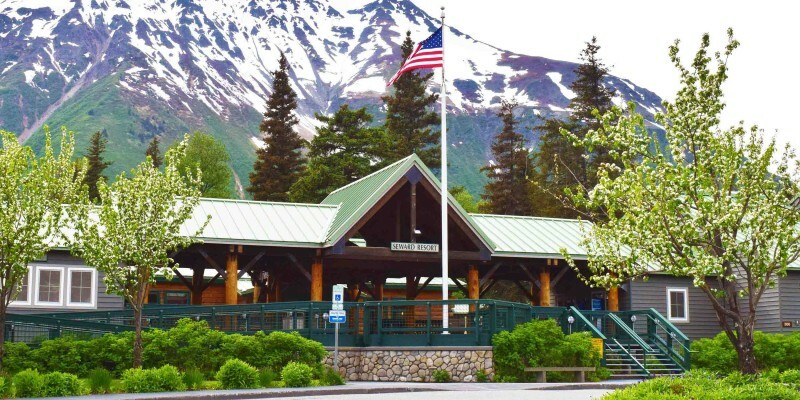 Seward is a pretty town, mainly with hiking, fishing, and boating being the main activities. There are also glacier boat tours. 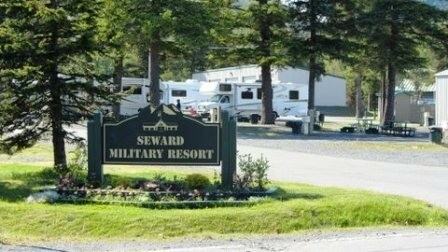 The military resort has nice cabins, a motel, tent area, and an RV area. The "Fish Station" was pretty neat, where they provide everything you need to clean, pack, and prepare your fish for shipping. 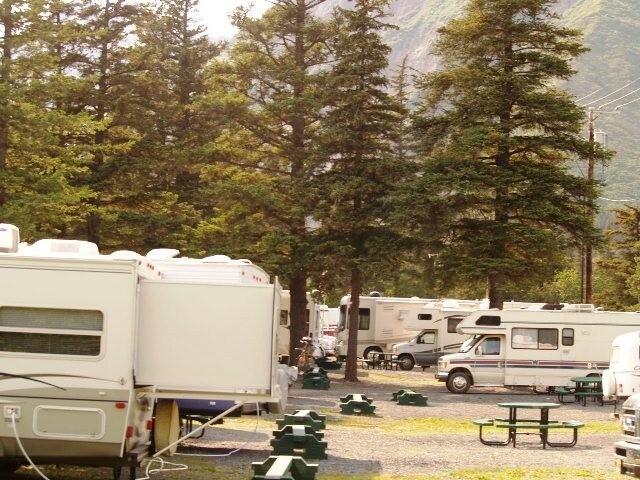 For this area, the cabin and RV site prices are also reasonable. 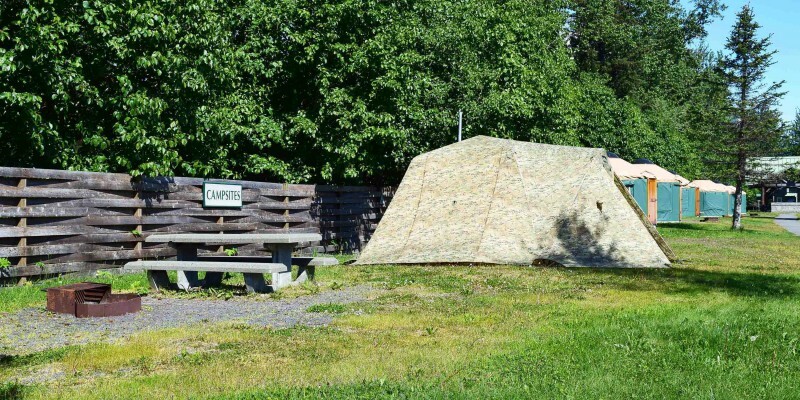 We stayed a little out of town dry-camping in a free area along the Resurrection River. But if I wanted electricity, this would be the RV park to go to. We did use the dump and fill up with water before leaving town. They charged us $1 on the honor system - there's a box to put your money into. Stayed there mid-June four days. 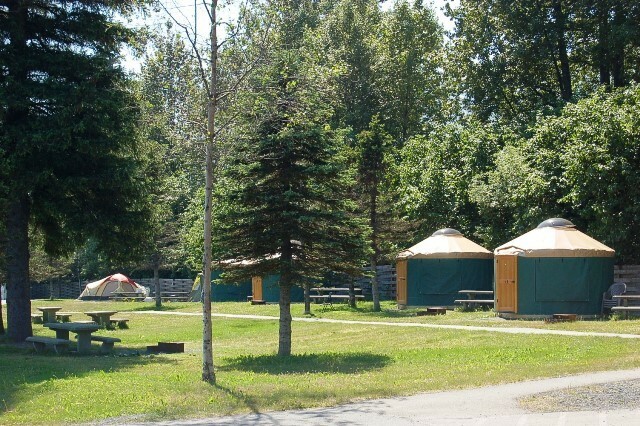 Campsites and facility are very nice. Great laundry room, hot showers, and excellent maintenance staff. I was NOT impressed with the office staff as I made reservations via my credit card, but when trying to pay cash when I arrived they would not take it, saying I needed pay when I left. When I went back to pay on departure they had already billed my credit card without my permission. Nicely located with clean restrooms and laundry rooms. Amenities are good but no full time eating facilities on campus. However, there are limited breakfast items in the morning and a bar/grill facility opens in the late afternoon with the usual fast food menu. Bought tickets and booked the 7.5 hours Kenai Fjords Tour with the Resort. It was awesome! Saw eagles, dolphins, whales broaching and glaciers up close and personal. The ship's captain turned off the engines and asked for silence in order to hear the glaciers squeak, groan, pop and go boom! Witnessed ice pieces calving and falling into the sea. The Resort RV sites need a little grading as they are on a hill and uneven. Most vehicles had to use leveling devices to settle their rigs. Only electric and water at each site. There is a dump station that is easily accessible. Only negative was the staff at check in. Young ladies who seemed to be doing you a favor instead of customer service. I haven't seen so much eye rolling since I told my teenagers Country and Western music is far superior to today's popular music. I humbly suggest training in customer relations for these young ladies. W.Z. 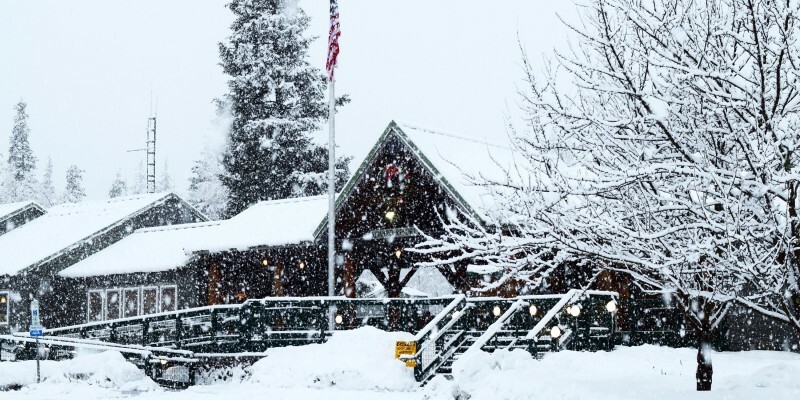 left this review using the Directory software: - Hi.. We booked their one and only Log Cabin almost a year in advance and really had no clue about the resort other than what we read on the Internet. The employees were friendly and attentive.. beyond the 'call of duty'. 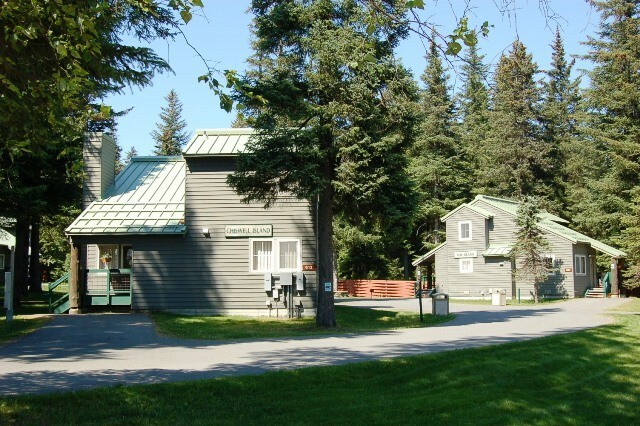 The gift shop is loaded with the normal tourist things and they have a huge selection of quality clothing.. so don't over pack as you can buy it there and if you cannot, there are wonderful stores in Seward that will have what you want. The log cabin was spacious and clean with private parking for our rental car. There was a gas grill on the porch which we used to grill fish a couple nights. There is no (full service) restaurant at the resort, but a minimal breakfast selection and FREE coffee is available. There is a bar/club that opens in the evening and serves sandwiches, fries, and drinks.. Very informal and friendly. Many places in the area to eat and I recommend looking at the lists and reviews on the resort web site. Our 'hands down' favorite was the "Train Wreck"... You will not leave hungry. We booked our tours and fishing prior to arrival... No problems with anything and they are run (with a couple exceptions) with groups that work directly with the resort. Fishing charter was amazing.. caught our limit of Halibut and they have an amazing fish cleaning/packaging/freezing facility within the resort. They will ship the fish for you or package and you take with you.. as we did. After our 20 hr return trip to Florida, the fish was still frozen solid. There was much more, but cannot document everything. Yes, there was an Air Force Resort right next door that has closed! Does not reflect on the Army resort. 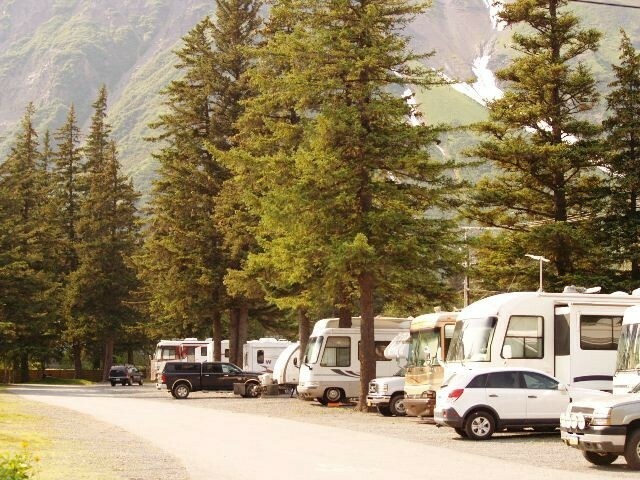 ALSO... the Seward campground, as we observed, is probably not a RV Resort , so don't expect one. 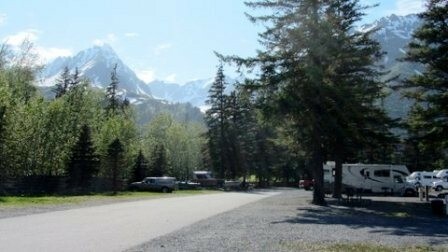 It is clean and safe and is better than some state parks we have stayed in.. Lots of local people from Anchorage, Fairbanks, etc camping there. 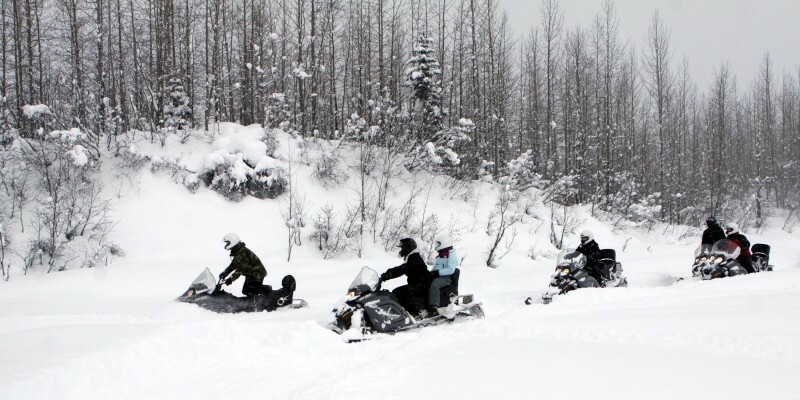 Sorry about any typo's... We thoroughly enjoyed the Alaskan experience. Located in a beautiful setting just north of downtown Seward; however, with no sewer hookups I rated Amenities/Facilities a 3. As stated, hookups are together so every other site is pull-in/back-in so your hookups are on the correct side. 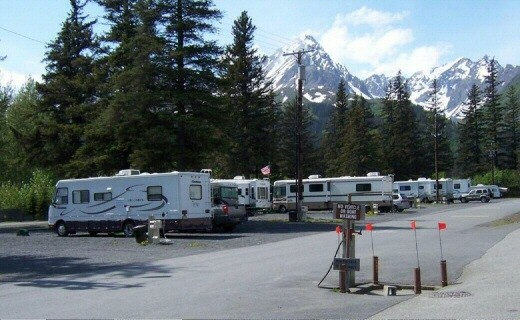 I was in the far line of sites from the office and Wi-Fi worked great in my RV. Freedom Fighters Lounge to the rear of the Main Deck opens for food at 17:00 with a limited menu. All staff were friendly and helpful. You are given a "hotel type" door card to access the laundry and showers. Therefore, you have to check out and your credit card is charged at check out. 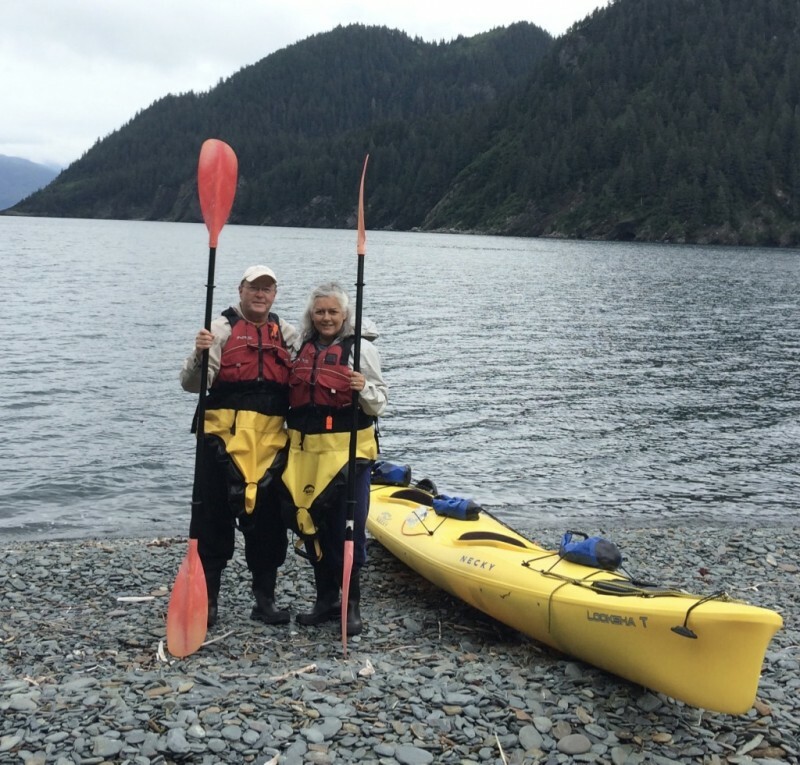 Prior to arriving I was able to book a 4 1/2 hour Resurrection Bay tour with about a 40% savings. A great tour by the way. Exit Glacier is a short drive (less than 10 miles) away. There is a Safeway grocery store and car wash a short distance from the resort heading south into Seward. 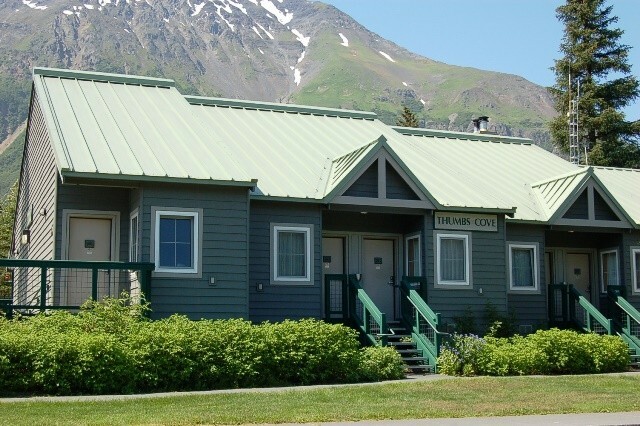 The cabins look very nice and there is both bus and train service from Anchorage if someone wanted to stay in the cabins. Overall a good experience. We stayed here for a week in a 29' Class C motorhome. 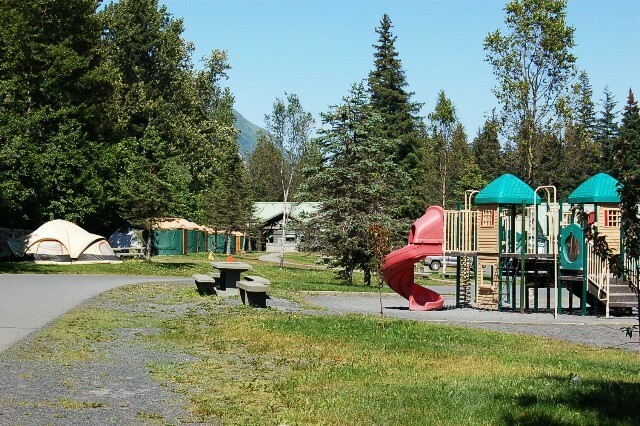 The facility is great with the exception of the campground layout which is not great. For starters, there are no sewer hookups which is unfortunate for so nice a place. The sites are on a slight incline and are not graded totally level. They are somewhat small and the water and electric hookups are located together for two sites, so one of them is on the wrong side. 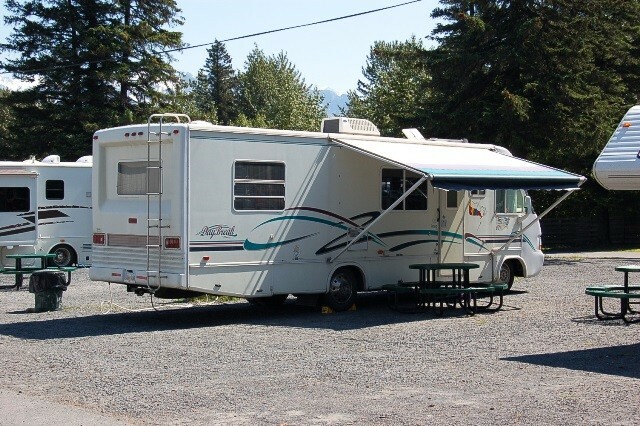 Many of the motor homes, pull in head first so as to put the utility lines on the correct side. Also too bad it couldn't have been located on the water. Other than this issue, the resort is excellent, first class restrooms, laundry, fish cleaning area and front office. We found the staff attentive and helpful in giving advice and booking tours (at a decent discount). There is a grill and bar with an outside patio with good, but limited offerings. 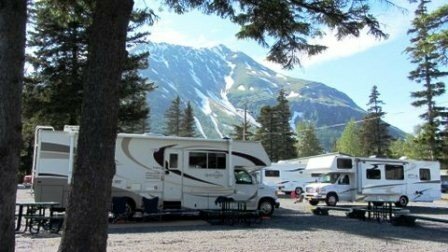 Far superior to the USAF campground located next door, albeit at twice the price. This should be a five-star facility, but isn't. 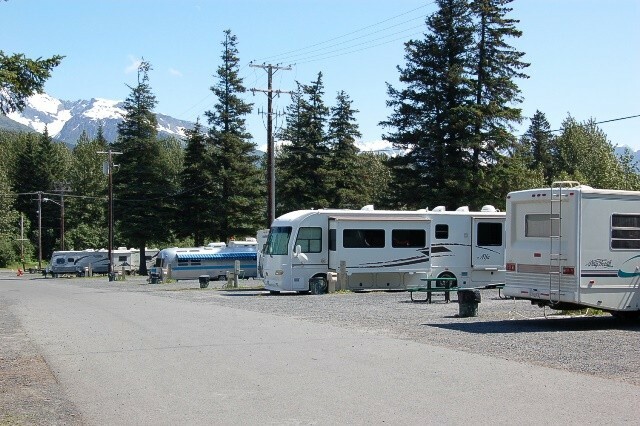 Many of the sites are too small for large RVs and not level. There are a few picnic tables but not at all sites. When we were there, the front desk was manned by young girls more interested in talking to each other than taking care of visitors. We asked if we could delay checkout for just one hour but were told we would have to pay for another full day even though the park was less than half full. 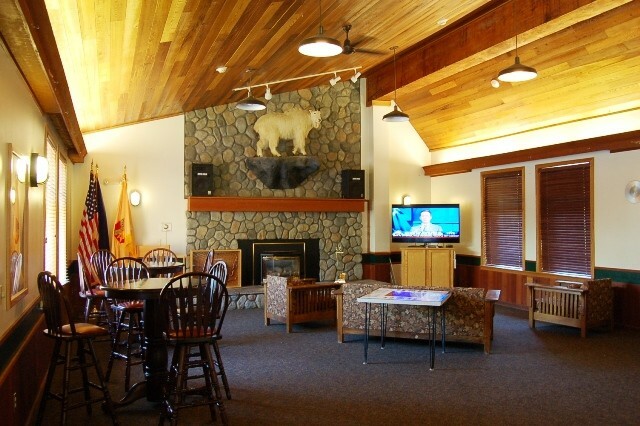 The facilities are all top-notch with a beautiful hall with large TV, games, and comfortable furniture. 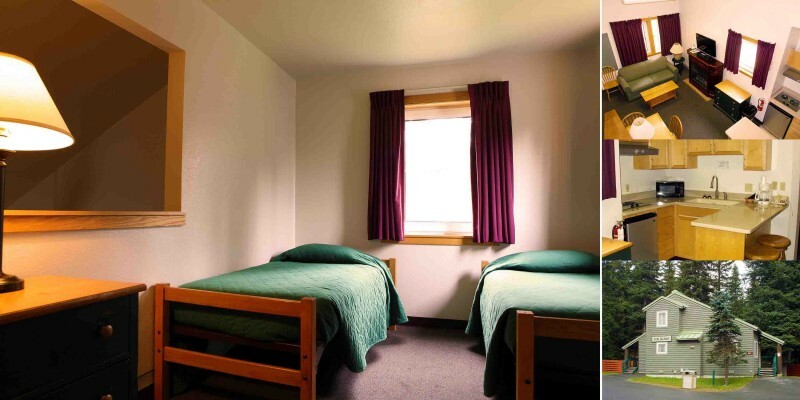 Restrooms and laundry are large and spotlessly cleaned with plenty of hot water. Although we did not take advantage of their fishing trips, we heard only great fish stories from other campers. 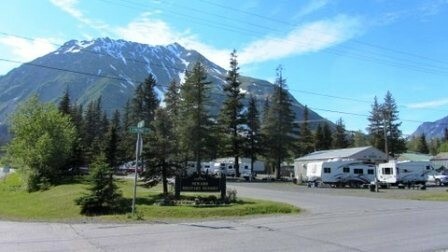 Great place, if your headed to Seward stay here. We didn't stay at the Air Force campground and glad we didn't. There is no choice between the two. You can walk to the docks, downtown, and the local Safeway from here. They have free wifi, bar and grill, and a staff that goes out of their way to help you. The only issue, they do not have pull-throughs. The staff working the desk ask you if you want a pull-through, say no. Trust me on this one. 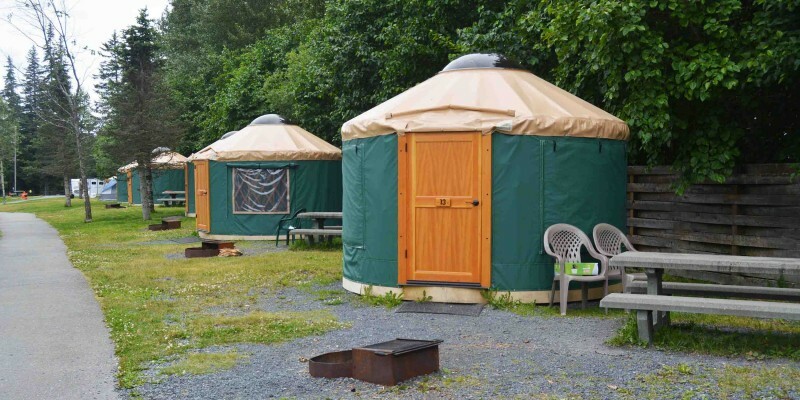 We originally booked one of the yurts for a two week period, but after three nights, we packed it in and headed out to a private RV park at Stoney Creek. 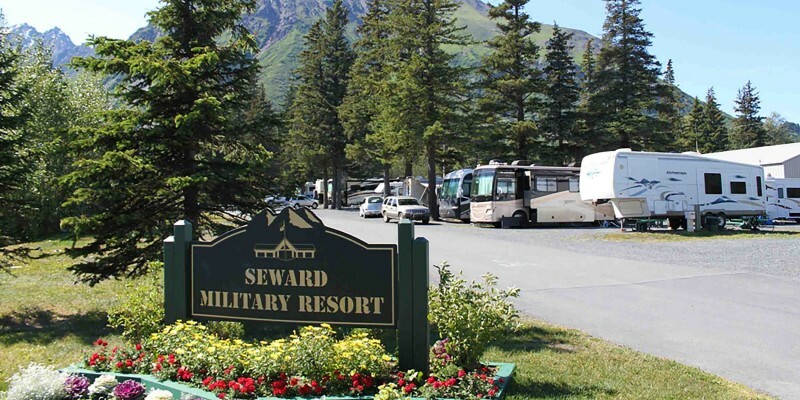 Seward Resort is very noisy, with a coal ship loading facility, Alaska Railroad marshaling yard, and the Seward Highway all in close proximity. 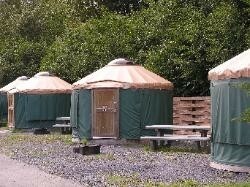 There also wasn't any official enforcement of the posted "Quiet Hours" in the yurt area. Other than that, the staff was friendly and helpful, and the facility clean and well maintained. Room rentals at this facility might be more enjoyable since one can close the windows if it gets too noisy [although I don't know how thick walls or windows have to be to keep an 0200 locomotive horn at an acceptable decibel level for sleeping!]. This is the best of 8 Famcamps that I have visited in the last year. It is located a couple miles north of downtown but enough off the main road to be quiet. 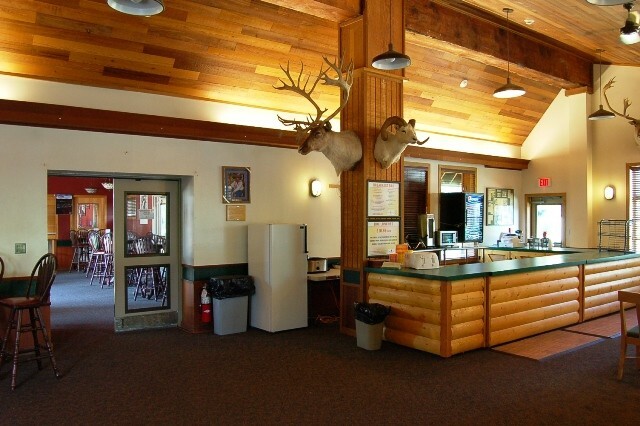 The camp is relatively new, the laundry and restrooms are very new and impeccably clean. Individual sites are open and of average size. There is WiFi available by the office. There is a common are that serves burgers and drinks in the evening. Visited this site in summer of 2006. We stayed for 5 days in a townhouse that slept 4 comfortably with 2 in a private loft and capable of 6 if you use the sofa bed. Fishing support is superb with a Fish House that includes ample cleaning area, vacuum sealers, and a huge freezer. Many of the staff will help you clean your fish. A bit pricy but the long summer days make for long days of sightseeing and sort of balance the cost. This Army resort is an outstanding facility. Although the pads are gravel, and only water/electric are available, it is still worth the visit. An amazing fish house for full processing of your fish, including vacuum bagging and freezing! Beautiful bathrooms, although in a "gym" type layout (sorry ladies). Staff was very helpful and knew the area. Close to town, but not on the water like the city facility downtown. Go downtown. Really interesting and neat with a fantastic museum. Save $2/ticket when you buy thru the Army resort. Ok I didn't stay here but did stop by to buy tickets and check it out. Closely spaced, back-to-back sites are in what looks like a very well-maintained parking-lot environment. If the facilities and hook-ups are more useful to you than the views from the city campground this would be the place to go. 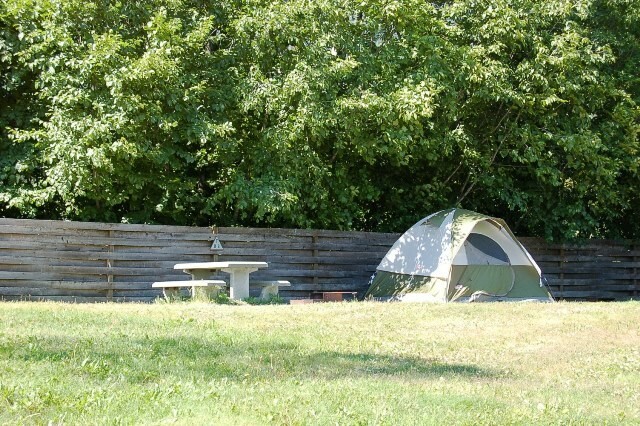 Very close to groceries and tourist info..you could walk it into town but the city campground is more centrally located. Worth every penny. Big tile showers. Lodge open all year. Nice souvenirs in lobby, lots less than in town. 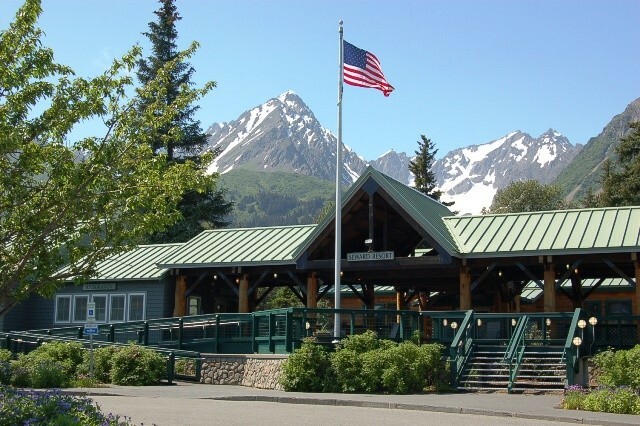 Discount tickets available at lobby desk for local attractions, like AK Sealife Center in Seward (don't miss that).